Alexander Pushkin in his poem “Eugenie Onegin” dreamed that maybe in 500 years Russia will finally have good roads. According to the data published on January 1,2002 the length of roads of the Russian Federation was 904,700 km, including 759,300 km of roads with hard surface and 145,400 km of dirt roads. According to experts, to meet the socio-economic needs of the country, the minimum length of the Russian road network should be one and a half million km. Still the main problem is not that the amount of the roads is too small but the quality of the existing ones. In 2017 about 126,000 road accidents were recorded on the territory of the Russian Federation of the injured and dead. The total amount of death rose in 2017 by 16,600. The main reasons for the death of people in accidents, according to official statistics, are poor quality of roads and driving in a state of intoxication – alcoholic or otherwise. There is a special website in Russia “DorInfo.ru”, which publishes a digest for every day of the most serious road accidents. 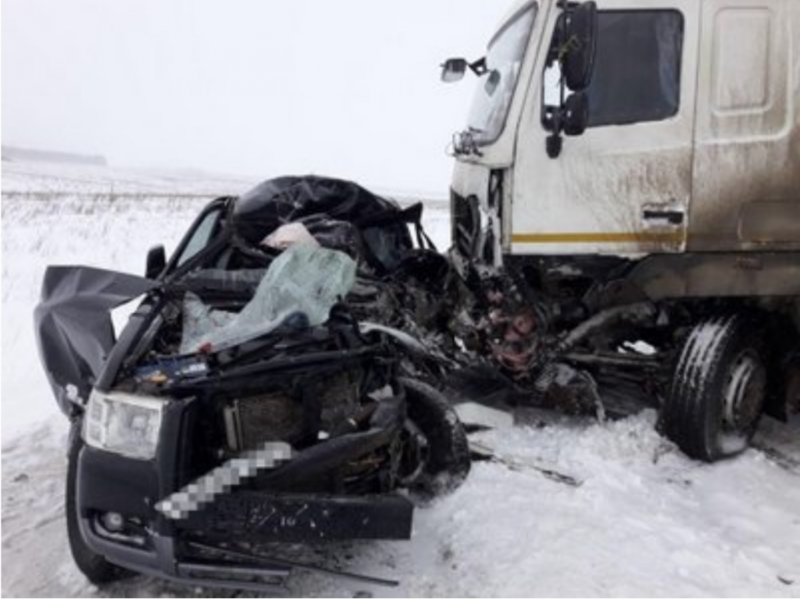 For December 9, the site described details of eight accidents in which people were killed and injured on federal and regional roads of Russia. Above is a photo published at Dorinfo.ru on December 9. On the road “Kuzbass-Altai” (Siberia) a sedan collided with a Volvo truck, traveling in the opposite direction. As a result of the accident, the driver of the sedan and four of its passengers, including a 10-year-old child, died. The police assume that the car driver was drunk and fell asleepat the wheel, as the result the car veered from its lane to the opposite one. Drunk driving is one of the causes of accidents, but not the greatest cause. The major cause is the condition of the roads. Some time ago a lot of Russian sites posted two videos showing a road in the city of Rostov-on-Don (over one million population). The road is the highway, connecting Rostov-on-Don with Moscow, built in 1980-s. The video had triggered a scandal and as the result the road was fixed and the new video was published. 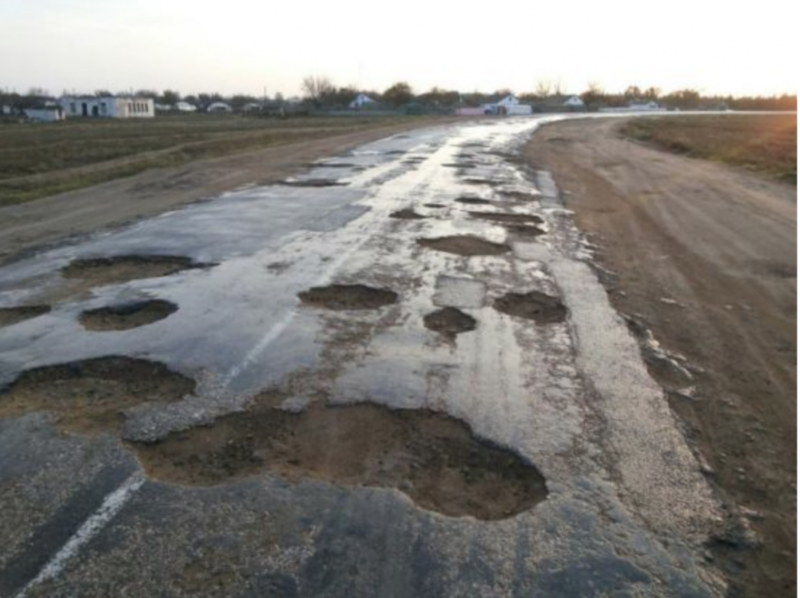 In that video the mayor of Rostov-on-Don is explaining that the bad condition of the road had legitimate reasons: the water of nearby river has been overflowing every spring. The viewer may want to ask if this river is going to spread the next year as well? Rostov-on-Don is not just an ordinary Russian city. It was recognized by the tourist’s website World Atlas as the most dangerous city in Europe. Rostov topped the list of ten European cities with a high crime rate. When the rating was being compiled, the databases of cities and countries of the world was used. Experts at World Atlas explained that the main reason for the high crime rate in the area is the proximity to the Ukrainian border and military operations in Donbass. According to the Ministry of Internal Affairs of the Rostov Region, just from April to June 2015 the number of crimes in the city increased by 21.3% compared to the same period a year before that. The growth is caused by the intensification of the illegal arms trade, fueled by the civil war in Donbass. The second, third and fourth places in the list of the most dangerous cities went to the Italian settlements – Bari, Turin and Naples, respectively. French Marseille completes the top five. But can the contemporary growth of crime in Rostov explain the condition of its roads? The road in question was falling apart since 1980s! And certainly Rostov-on-Don is not the only Russian city that has road problems. For years and years the problem of building new roads and fixing old ones remains one of the main problems discussed in Russian media. In November 2017 employees of the State Traffic police in the region of another big Russian city, Krasnodar (773,970 population). 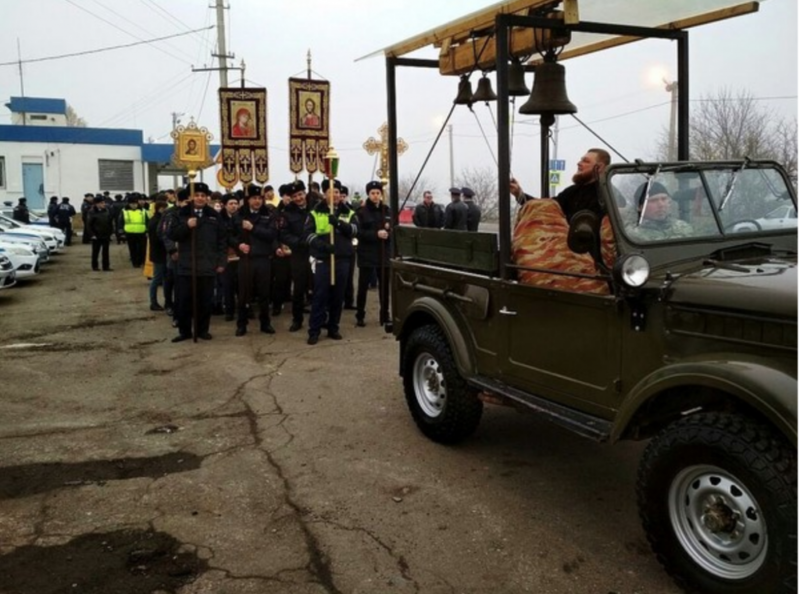 invited Russian orthodox priests to consecrate the most dangerous sections of the roads in the area. At the site where most of accidents with lethal outcomes were permanently happening, policemen and priests conducted a praying procession. The photographs and videos of the event were reprinted by many Russian websites. Many commentators asked why the roads weren’t being fixed and traffic signs installed in dangerous places?